This kit will allow you to lower the rear of your MK3 (2K) Caddy with an adjustable ride height. The offset on the saddle will help keep the wheels central within the rear arches, which is a problem with all the manufactured kits available today. BUT the biggest benefit of our kit is weight! 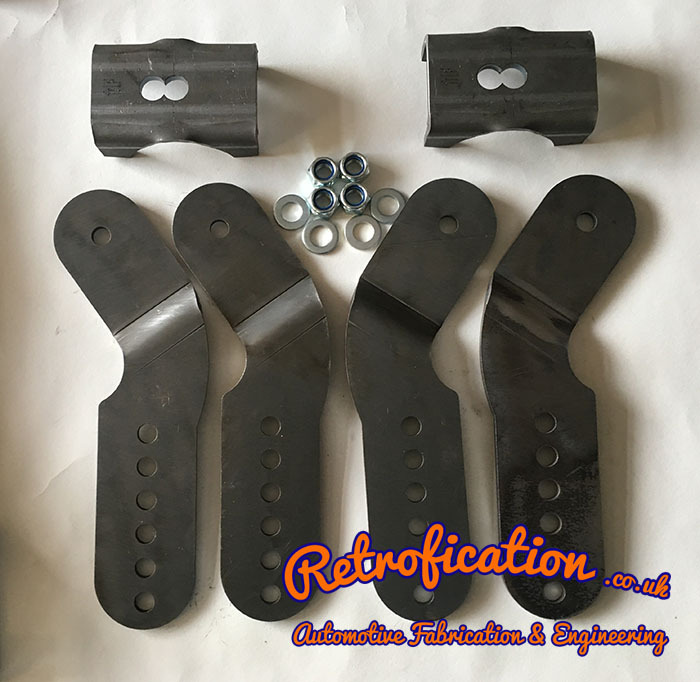 With these weld-on saddles you will save you a mammoth 6.7 Kgs in unsprung weight over the bolt on brackets, so if you know anything about suspension you will know this is a massive amount! 2010> Caddys with the single leaf springs will require that the location lug is cut off and then the leaf spring drilled to accept the earlier type location pin. If you are not prepared to do this then you will be better off with one of our bolt-on solutions.